Our current fragmented, dysfunctional, for-profit health care system is broken. Internationally we rank poorly in both process and outcomes; yet, we are by far the most expensive health care system in the world. Not only we do we not get a bang for our bucks; but for many of us from a moral perspective we are morally bankrupt, allowing far too many people to suffer and die unnecessarily. 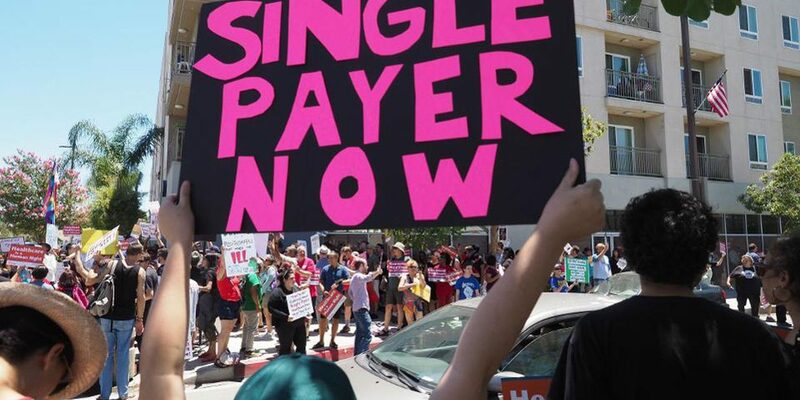 The solution is a non-profit single-payer healthcare system, Medicare for All, which has been proposed federally by Senator Bernie Sanders (2016), introduced in The House of Representatives as H.R. 676 (Wikipedia. National Health Care Act), and, for instance, in California as Senate Bill 562 (California Legislative Information, 2017; California OneCare, 2017; jpmassar, 2017; Morone, 2017; Pollin, 2017). 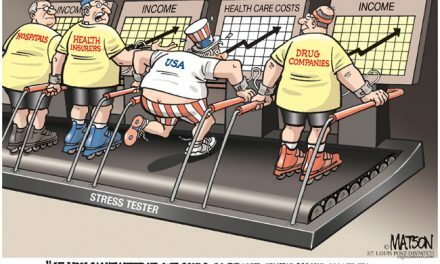 The obstacles are enormous, basically going up against right-wing market ideology and legislatures bought and paid for by our for-profit health industry and their lobbyists. Whether federally or by state, the fact that obstacles exist does NOT change the fact that our current system is broken, that we are ALL at risk (e.g., Barlett, 2004; Brill, 2013). 1. Patient negotiates fees with surgeon, anesthesiologist, hospital, assuming assistant surgeon, as customary, will be paid by surgeon. Assistant surgeon bills $117,000 for 3-hour surgery and gets it (Rosenthal, 2014). 2. A woman doubled over with pain goes to emergency department at hospital. After multiple tests discovered not appendicitis; but ovarian cyst. Insurance company refused to pay as they determined wasn’t emergency. The person was supposed to diagnose herself, ultimately stuck with $12,596 hospital bill. I guess she could have waited, if appendix burst, well, that’s her bad luck. The policy of not reimbursing emergency room visits if turn out not be an emergency is growing (Kliff, 2018; see also: Abelson, 2018; Chou, 2018). 3. Between 33 percent and 80 percent of cancer survivors exhaust their savings to finance medical expenses. Up to 34 percent borrow money from friends or family to pay for care. For those who fall into debt, the level of debt is substantial. Bankruptcy rates among cancer survivors are 260 percent higher than among similar households without cancer (Ramsay, 2016). 4. “It’s not uncommon for patients who visit an in-network hospital to learn later that they’ve been treated by out-of-network providers, resulting in thousands of dollars in charges. And while the Affordable Care Act generally caps what consumers must spend out of pocket when using providers within their plan’s network, it doesn’t protect consumers from large bills from outside providers. Those providers may be free to charge the consumer for the balance of the bill that the insurer did not pay, known as ‘balance billing’” (Bernard, 2013). 6. And, as a final example, an outrageous one, the treatment of 9/11 First Responders. Most were police or fire department employees, covered by insurance; yet, their insurances didn’t cover much of their care. Finally, Congress passed legislation 10 years later to cover them, though only certain conditions, too little too late for many who had already died and those remaining who had suffered. These were our heroes. If anyone deserved top quality care, it was them (Wikipedia. Health effects arising from the September 11 attacks). Above is just the tip of the iceberg. Read on. For every 2,000 women invited for screening over a 10 year period, one will have her life prolonged and 10 healthy women, who would not have been diagnosed if they had not been screened, will be treated unnecessarily. The evidence of a mortality reduction from screening is conflicting and continues to be questioned by some advocates, scientists, policy makers and members of the public. In fact, the absolute risk of a woman dying from breast cancer is less than 1% without any screening. Looking at this another way, 995.6 out of 1,000 50-year-old women will not die of breast cancer within the next ten years. This number rises to 996 out of 1,000 with regular mammography screening (National Breast Cancer Coalition, 2013; see also: Houssami, 2017). The evidence is mounting that for those insured in the U.S., both over-diagnosis and over-treatment are often as threatening to our health as under-treatment of those who are underinsured or uninsured (e.g., Brownlee, 2007; Welch, 2011). However, if the monies wasted on our current system were re-directed to actual treatment, where current interventions for cancer are advantageous, they would be covered. And, as discussed below, the data from a single-payer system has the potential to be used for improving health care. A recent article in The Atlantic stated if we were to adopt the Canadian health care system: “5,400 fewer babies would die in infancy, and we’d save about $1.3 trillion dollars in health care spending. . . And, perhaps as a result, more than 50,000 preventable deaths would be avoided.” The article does point out slightly longer wait times for non-emergency/urgent care; but this is based partly on their lower spending. If we were to maintain our current level of spending, this could be avoided (Khazan, 2014; Cecere, 2009). As a specific example. average life-expectancy for cystic fibrosis is 10 years longer in Canada than U.S. (Stephenson, 2017). On almost every measure of health care outcomes Canada does as well or better than the U.S. (Eisenberg, 2005; GAO, 1991; OECD, 2017; Robinson, 2008; Sawyer, 2017; Schneider, 2017; Tikkanen, 2017). Canadians Seeking Health Care in U.S.: Of course Canadians get health care in the U.S. Most are either working here, attending university, touristing, or retirees wintering in Florida to escape the harsh Canadian winters. The same can be said of Americans falling ill or suffering injuries while abroad. In fact, “The U.S. Centers for Disease Control and Prevention has estimated that about 750,000 U.S. patients travel abroad each year for medical treatment. That’s a larger proportion of the U.S. population than even the highest estimates of Canadians seeking treatment abroad” (Martin, 2017). However, the question is how many Canadians seek health care in the U.S. while residing in Canada and the answer is very few and many of these are for highly specialized health care, which, is often paid for by the Canadian single-payer health care system (Katz, 2002; Lee, 2016; McCann, 2014). Only a few years ago, the only place to receive a heart-lung transplant was Pittsburgh. Is that proof that health care everywhere else in the U.S. was deficient? It is more cost-effective with better outcomes for highly specialized care to have centers of excellence in areas such as heart surgery, cancer care, neonatal intensive care, and others, so Canadians seeking highly specialized care can seek it in the US or elsewhere in Canada, sometimes the travel distance is much shorter to the U.S. (Hillner, 2000; Luft, 1990; Jollis, 1997). Exaggerated Wait Times: Exaggerated estimates of wait times come from studies by the Fraser Institute, a right-wing think tank with substantial funding from the Koch brothers and US Pharmaceutical Companies (Wikipedia. Fraser Institute). The Fraser Institute studies use a highly flawed methodology (McCann, 2014). Though wait times can be longer in Canada than in the US, that is, for Americans who are highly insured, there is NO evidence they compromise health outcomes. Emergency and life-threatening conditions are cared for within appropriate time parameters and over the past decade Canada has successfully implemented programs to reduce wait times for elective procedures, and the effort continues (Canadian Institute for Health Information, 2017; Health Council of Canada, 2011; Longhurst, 2016). Canadian Doctors Moving to U.S.: The number of Canadian doctors moving to the U.S. is actually quite small and many return to Canada (Canadian Health Services Research Institute, 2008; Freeman, 2016). And many American doctors are moving to Canada. Reasons include dealing with insurance company bureaucracies, “In the US, thanks to insurance company loopholes and technicalities, American family physicians aren’t paid up to 30% of the time, whereas under a single-payer system, only about 2% of billings aren’t covered . . . Even referrals are a headache since insurance companies often pay only for specific hospitals and specialists” (Glausser, 2014). In Canada, doctors don’t have to worry about whether patients can afford care and can focus on their medical needs instead of their finances (CTVNews.ca Staff, 2015; Luthra, 2017; Palmer, 2017). For more about the Canadian health care system and innovations that could improve it, innovations easier to carry out in a single-payer system, see Rachlis, 2005. According to a recent 2018 Milliman Research Report, the cost to a family of four for an average employer-sponsored preferred provider organization plan is $28,166. Since inflation has been minimal, comparing the 2016 data from the United States Census Bureau which found the median income for families with four people to be $90,746, the cost of health care, on average is greater than 30% of total income (Garrett, 2018; Girod, 2018; Institute of Medicine, 2013; OECD, 2017; Papanicolas, 2018; Schneider, 2017; Tikkanen, 2017; United States Census Bureau, 2017, Table F-8: Size of Families). If one includes Medicare, Medicaid, VA, Military, Tricare for military families, Indian Health Service, health insurance for employees of all levels of government, and health insurance covered by contract with companies doing business with various levels of government, approximately 65% of health care in the U.S. is funded through taxes (Harrison, 2008). As a percent of GDP this equals the next most expensive health care systems which cover everyone with high quality care. Over 10% of doctor office and hospital costs involve the excess administration necessary to deal with multiple payers (Casalino, 2016; Himmelstein, 2014; Ubel, 2016) and at least 20% of health care costs go to for-profit health insurance companies, including bloated salaries, stock dividends, and administrative bureaucracies (Frakt, 2018). An average doctor devotes 15 hours per week to the excess paperwork demanded by our fragmented, dysfunctional, for-profit system, hours that could be devoted to actual patient care. Much of the equipment in hospitals and especially rural hospitals is paid for by Medicare and Medicaid (Alexander, 2018; Ross, 2018). And Medicare pays for residency training of specialists (Rampell, 2013). It is impossible that the 30% or more of health care dollars that go to excess administration and profit could deliver equal or better care than if the monies were actually directed to health care (Harrison, 2008). In fact, the current system limits our choices, delays care in many cases, forces people to choose between seeing doctors and/or buying medications or paying basic necessity bills. And Illness and medical bills contribute to a large and increasing share of US bankruptcies (Dobkin, 2018; Himmelstein, 2005; Himmelstein, 2009; Sanger-Katz, 2018). So, basically, we pay for our healthcare through our taxes and then pay again both monetarily and health-wise. As for Medicaid, one paper found that some insurance companies are reaping spectacular profits off the taxpayer-funded program in California, even when the state finds their patient care is subpar (Terhune, 2017). Given the excess administrative costs built into our healthcare system (Frakt, 2018), by just removing these, the costs of hospital stays and other medical costs will be substantially reduced. Just one absurd example should be enough, according to Professor Uwe Reinhardt: “We have 900 billing clerks at Duke. I’m not sure we have a nurse per (each) bed, but we have a billing clerk per bed…it’s obscene (Putsch, 2008).” However, a non-profit single-payer system will actually provide a global budget for hospitals based on a careful analysis of their operations, so, the risk of hospitals closing is pure propaganda from the for-profit industry, not a valid claim. In other nations sick and injured people and their loved ones can focus on getting better. In the US we are deluged with bills, paperwork, and fighting with insurance companies, a never ending nightmare just when we are at our most vulnerable (Rice, 2018). A non-profit single-payer system WILL NOT COST MORE THAN OUR CURRENT SYSTEM. IT WON’T INVOLVE NEW DOLLARS. People don’t understand that “benefits” included with our jobs are really part of our total compensation (Heathfield, 2018; New Mexico State Personnel Office, 2014). Whether an employer offers health insurance or not affects our salaries. In the past few years wage increases have flattened out and/or changes in health insurance, premiums and deductibles have grown. So, remove the employer from the equation and have a modest percentage of income, smaller than our share of premiums, covering our entire families, with no deductibles and copays, NO PAPERWORK. By rolling Medicare, Medicaid, and a percent tax on incomes, similar to the current taxes for Social Security (FICA) and Medicare, into one system, we could achieve universal coverage with access and choice determined by us and for the vast majority costing less than our current system. Additional sources of revenue have been proposed, such as a modest tax on financial transactions (Friedman, 2013; Friedman, 2017a; Friedman, 2017b; Sanders, 2016). Of course, given the power of the insurance lobby, Washington may refuse; but the money is there and we should fight for it. We are the only health care system in the world designed first and foremost to make a profit, not to care for people. In the past few years, for instance in California, health care costs have increased by 240% compared with 40% for the Consumer Price Index (California Health Care Foundation, 2017; Huffman, 2017). In no way can the introduction of newer technologies come close to explaining this. In fact, one study found after adjustment for price inflation, 50% of the increase could not be explained by increases in population size, aging of the population, changes in disease prevalence or incidence, or service utilization (Dieleman, 2017). The recent scandal of raising Epipen prices to $800 is just one example. But even the original $400 for a packet of two Epipens was outrageous given they cost between an estimated $8 – $30 for a two-pack and sell in the UK for $69. In fact, the Epipen was developed for our military (Bloomberg, 2016; Mangan, 2016; Nutting, 2016; Ramsey, 2016; Seipel, 2017; White, 2016). Numerous studies have shown that claims by pharmaceutical companies of the cost of developing new drugs are grossly exaggerated (Light, 2011; Medecins Sans Frontieres, 2014; Prasad, 2017; Public Citizen, 2001; Public Citizen, 2017; Relman, 2002). In fact, over 95% of the basic research is funded by the government and even 50% of new classes of drugs (Light, 2005). The pharmaceutical industry is among the most profitable industries, only equaled by banks; but outdistancing carmakers, oil and gas, and media (Anderson, 2014). The FDA’s patent of a drug creates a monopoly. A monopoly exists when a specific person or enterprise is the only supplier of a particular commodity. . . Monopolies are thus characterized by a lack of economic competition to produce the good or service, a lack of viable substitute goods, and the possibility of a high monopoly price well above the seller’s marginal cost that leads to a high monopoly profit (Wikipedia. Monopoly). The object of patents is to encourage research and innovation in order to benefit the public. The public is certainly does NOT benefited from extortionist level prices and profits. A single-payer health care system will be able to negotiate drug prices, allowing reasonable, not extortion level profits. In 2003, Congress passed the Medicare Prescription Drug, Improvement, and Modernization Act. Billy Tauzin, as chair of the U.S. House Committee on Energy and Commerce, which oversees the drug industry, played a key role in shepherding the bill through Congress, including prohibiting the government from negotiating lower drug prices and banning the importation of identical, cheaper, drugs from Canada and elsewhere. Even with bargaining the pharmaceutical industry would have increased profits from the addition of a large number of people able to purchase drugs; but greed has no bounds. Tauzin resigned from Congress after the bill was passed and became head of the Pharmaceutical Research and Manufacturers of America at a salary estimated at $2 million per year. Does this raise any red flags (Ludwig, 2015; Wikipedia. Medicare Prescription Drug, Improvement, and Modernization Act)? The VA, Kaiser Permanente, Blue Cross, everyone else pays less for drugs than Medicare because they can negotiate. In fact, some drugs are actually cheaper if purchased directly from a local pharmacists, bypassing the profits and additional administrative costs from the Pharmacy Benefits Managers created by the bill (Ornstein, 2017). Gag orders often prohibit a pharmacist from discussing pricing with customers (Pear, 2018). By negotiating prices the Medicare donut hole could be eliminated (Congressional Budget Office, 2007a; Consumer Union, 2006; Families USA, 2007; Gaffney, 2018; Health Markets, 2018; Light, 2012; Light, 2013). A non-profit single-payer system will also include dental care, home health care, nursing homes and skilled nursing facilities. Poor painful teeth lead to poor nutrition which affects our diet which affects overall health. It affects our self-image, our ability to concentrate, our productivity, whether as students or workers, and, of course increases the need for health care (CDC, 2018). Quality home health care, allowing people to stay in their homes, is both cheaper than nursing homes and maintains a better quality of life (Ball, 2018; Gerace, 2011; NPR, 2018). With global budgets, nursing homes will have the requisite number of trained health care providers rather than employees in billing offices. Currently new hospitals are being built where each patient will get his/her own room. We could do the same for nursing homes. Just because one is infirm shouldn’t mean the loss of privacy and dignity. We could have such a system given that the monies now going to profits and bloated salaries for administrators, even for non-profit nursing homes, would go to actual care (Zimmerman, 2011). A non-profit single-payer system will reduce job lock. Currently, many talented individuals are stuck in jobs that are not a good match because they need to maintain health insurance. Imagine some talented individuals wanting to start their own firm, one has a chronic health condition or ill child, the cost of health insurance for individuals or small firms would either be prohibitive or come with high deductibles and copays, not leaving monies for investing in the company, so they stay with their current company (Baker, 2015). Health insurance reduces the competitiveness of American companies in international competition, both upping the overall production costs and devoting time and energy in negotiating yearly insurance contracts for employees. Especially small businesses, the backbone of our economy and largest employer overall, are negatively affected by our current system. If one chooses to ensure its employees, the increased costs put it at a disadvantage against those who choose not to (Johnson, 2012; Leenson, 2017; Reinhardt, 1989). Why Should Immigrants, including Undocumented, Be Covered? For those opposed to undocumented aliens receiving health care, numerous studies have found that they contribute significantly to our economy and pay taxes. In fact, an Institute of Medicine study estimated the productivity loss to our economy due to lack of insurance at up to $130 billion in 2000 and if insured the cost of care at up to $69 billion, both would be much higher today (Institute of Medicine, 2003). The Institute of Medicine series of studies on the effects of uninsurance included immigrants, both documented and undocumented (Institute of Medicine, 2009). So, it costs our economy more to not insure everyone. If injured on the job, a job contributing to our economy, shouldn’t they receive care? More importantly, despite President Trump’s push to build a wall, it would be virtually impossible to eliminate them, so, we risk exposure to infectious diseases, e.g., in restaurants, day care centers, in elevators, etc. If not a moral obligation, then enlightened self-interest should prefer they be treated rather than remain contagious (Congressional Budget Office, 2007; Edsall, 2016; Federal Reserve Bank of Dallas, 2003). Not only immigrants use disproportionately less medical care than their representation in the U.S. population would indicate (Goldman, 2006); but they actually contribute to Medicare’s solvency (California Healthline, 2015; Flavin, 2018; Zallman, 2013). Surveys have shown that the majority of Americans support a non-profit single-payer health care system; but only if it doesn’t include illegal immigrants (Rasmussen, 2009). U.S. law requires providing emergency care to anyone (Wikipedia. Emergency Medical Treatment & Labor Act). Unfortunately, the uninsured “receive fewer needed services, worse quality care, and have a greater risk of dying in the hospital or shortly after discharge,” even from trauma care (Institute of Medicine, 2002). And as the number of uninsured increases, the quality of health services in a community decrease (Institute of Medicine, 2009). Besides the fact that they have contributed to the system, besides the risks of infectious diseases, besides the immorality, besides the effects of uninsured on availability of quality care in a community, denying care to anyone lacking proof of insurance could put us all at risk in an emergency. Imagine you suffer a heart attack or an injury and have no proof of insurance. The uninsured get less follow-up care, so their risk of another emergency is high. So, besides the immorality, it isn’t rational to be against a program that will benefit us and our loved ones just to ensure that others don’t benefit as well, enlightened self-interest. Thomas Rice (2015). “The Economics of Health Reconsidered,” Fourth Edition. Health Administration Press. Used copies of earlier editions are available on Amazon marketplace at reasonable prices. The basics don’t change between editions, just more up-to-date examples, and criticisms of earlier editions are dealt with. A non-profit single-payer system is NOT socialized medicine. It is Medicare for All. Delivery of health care will be by non-profit hospitals and clinics and private practicing physicians. Rather than choosing an insurance plan, if possible, or taking that offered by ones employer, one will be able to actually choose the hospital, clinic, and health care practitioner, without being locked into any network determined by the profit motive of health insurers. Unfortunately, all too often words like “socialism” are used to arouse emotions that stop people from further investigating a policy. Socialism DOES NOT apply to a non-profit single-payer healthcare system, though, as the saying goes: “A lie told often enough becomes the truth.” I have lived in both Sweden and Canada. Swedish healthcare is socialized medicine. Facilities, hospitals and clinics, are owned and run by the government and medical personnel are salaried, except for dentist who operate private practices. In Canada, hospitals and clinics are privately owned and physicians work in private practices. Dental and long term care are not universally covered; but some Provinces do cover them for specific groups, e.g., dental care for children and seniors and home health care and nursing homes for seniors. International studies show both systems superior to ours; but, given American culture, a non-profit single-payer system would be more acceptable. A non-profit single-payer system is NOT a Ponzi, pyramid, scheme transferring money from the young to the old and sick. A pyramid scheme is one-way, those at the top benefit and those at the bottom lose (Wikipedia. Ponzi scheme). A single-payer system is more like a revolving door, first one is outside, then inside. All of us will eventually grow old and at some time in our lives suffer injury or illness and none of us can be held responsible for our genetics, a roll of the dice. Young people do suffer injuries, cancer, and other illnesses. If they are uninsured, they still receive at least emergency care and, thus, we pay for it. As discussed above, the level of care will be less. By removing the excess administrative costs and profits, our parents, grandparents, and others are covered as we will be in turn. When I was in elementary school, my father’s taxes paid into the system as did others. Even when he was unemployed I continued with my education. When I became an adult, my taxes paid into the system so that the next generation of children would be educated and I gladly did this despite having no children of my own (Reuss, 2012). Despite literally billions of dollars spent on medical and pharmaceutical research, problems still exist, including grandfathered interventions. Questions regarding which interventions for which conditions work still exist. Even with the absolute best clinical trials, the risk of rare but serious side-effects will not be found. Our drug laws allow any drug, once approved by the FDA for one condition, be used “off-label” by physicians for any condition. Sometimes the off-label use of a drug really does work; but often it doesn’t. We don’t know how many physicians prescribe an off-label drug for a specific condition, how many discontinued its use due to lack of efficacy or side-effects, nor even if improvements followed, if one could attribute them to the off-label drug or other factors. Circa 20% of all drug sales involve off-label use which adds to our overall cost of health care (Carr, 2017; GAO, 2008; Orac, 2012; Wikipedia. Off-label use). With a non-profit single-payer system, either one standardized database for entry of all patient demographics, conditions, and treatments or a linking system for several already existing databases, has the potential to improve healthcare by assigning teams to investigate everything from surgeries to drugs, FDA approved usage as well as off-label, and vaccines. Numerous large studies have found that the risk from vaccines is minuscule compared to benefits (CDC, 2017); but having data for literally all children could allow one to look at any rare increased risk from “pre-existing conditions” and assuage the fears of parents reluctant to vaccinate their children. Of course, strong laws and enforcement will need to be developed to protect patient confidentiality; something not well-protected with employer-based health insurance. Sooner or later all of us will face injury or illness. No system is perfect and there will always be anecdotes of one or a few cases where failures occurred. Unfortunately, as with the red flag of labeling something as “socialist,” anecdotes play on our emotions and we fail to ask the question: “Compared to what?” For every anecdote about a case example of poor care in a Western technologically advanced nation offering universal health care, whether single-payer or socialist, one can find a far greater number in the U.S. A non-profit single-payer health care system ensures that we will be able to choose our doctors and hospitals, get the highest quality of care, without fighting with insurance companies, without being inundated with paperwork, and without worrying about finances. In addition, regardless of our employment, our families will be covered. The choice is simple: Do we continue to fund through our taxes a system to enrich a few or adopt a non-profit single-payer system that numerous international studies have shown to cover everyone at a high level of care? 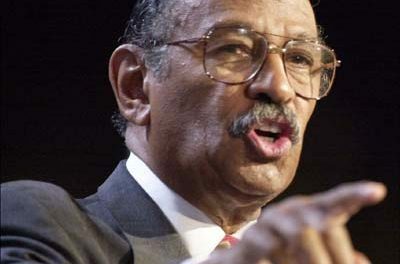 Joel A. Harrison, Ph.D., M.P.H., a native San Diegan, is a retired epidemiologist. Dr. Harrison has lived and studied in both Canada and Sweden. Dr. Harrison has been a long-time supporter of a non-profit single-payer health care system/Medicare for All and a strong supporter of vaccinations wherein he has, as a volunteer, been writing articles for Every Child by Two, a nonprofit founded in 1991 to promote vaccinations. You can find his articles here and here. Note that I use Wikipedia in the references. I only do this if the Wikipedia article includes references that I have checked out. Thus, rather than listing even more references, this supplies a convenient shorthand. Abelson R, Sanger-Katz, Cresell (2018 May 19). As an Insurer Resists Paying for ‘Avoidable’ E.R. Visits, Patients and Doctors Push Back: Guessing wrong on when a condition is a life-threatening medical emergency could mean a large bill. Or worse. The New York Times. Alexander B (2018 Jan 9). America’s Rural Hospitals Are Dangerously Fragile. The Atlantic. Allen M (2018 May 25). Why Your Health Insurer Doesn’t Care About Your Big Bills. Propublica. Anderson R (2014 Nov 6). Pharmaceutical industry gets high on fat profits. BBC News. Baker D (2015 Mar). Baker (2015 Mar). Job Lock and Employer-Provided Health Insurance: Evidence from the Literature. AARP Public Policy Institute. Ball MS (accessed 2018 May 20). Aging in Place – A Toolkit for Local Governments. Community Housing Resource Center. Barlett DL, Steele JB (2004). Critical Condition: How Health Care in America Became Big Business & Bad Medicine. Doubleday. Bernard TS (2013 Oct 18). Out of Network, Not by Choice, and Facing Huge Health Bills. New York Times. Bloomberg (2016 Sep 29). Why the $600 EpiPen costs $69 in Britain. Crain’s Chicago Business. Brill S (2013 Feb 20). Bitter Pill: Why Medical Bills Are Killing Us. Time. Brownlee S (2007). Overtreated: Why Too Much Medicine Is Making Us Sicker and Poorer. Bloomsbury. California Health Care Foundation (2017 Mar). California Employer Health Benefits: Prices Up, Coverage Down. California Healthline (2015 Jun 29). Undocumented Immigrants Help Keep Medicare Solvent, According to New Study. California Legislative Information (2017 May 26). SB-562 The Healthy California Act. California OneCare (2017). How Could Medicare for All Work in California? Canadian Institute for Health Information (2017 Mar). Analysis in Brief: Wait Times for Priority Procedures in Canada, 2017. Canadian Institute for Health Information (accessed 2018 May 28). How does Canada’s health spending compare internationally? Canadian Health Services Research Institute (2008 Mar). MYTH: Canadian doctors are leaving for the United States in droves. Carr T (2017 Jan 4). Off-Label Use: Should Drugs Do Double Duty? Consumer Reports. Casalino LP, Gans D, Weber R et al. (2016 Mar). US Physician Practices Spend More Than $15.4 Billion Annually To Report Quality Measures. Health Affairs; 35(3): 401-6. CDC (2018 May 2). Oral Health. CDC (2017 Jun 7). Vaccine Safety Publications. Cecere (2009 Sep 17). New study finds 45,000 deaths annually linked to lack of health coverage. The Harvard Gazette. Chen A, Oster E, Williams H (2016 May). Why Is Infant Mortality Higher in the United States Than in Europe? American Economic Journal. Economic policy; 8(2): 89-124. Chou SC, Schuur JD (2018 Mar 9). Beware this insurer’s sneak attack on emergency care coverage. STAT. Congressional Budget Office (2007a Jan). Prescription Drug Pricing in the Private Sector. Congressional Budget Office (2007b Dec). The Impact of Unauthorized Immigrants on the Budgets of State and Local Governments. Consumer Union (2006 Oct). Not Low Enough – Medicare Part D ‘Donut Hole’ Prices Compared with Retail and VA Prices. CTVNews.org Staff (2015 Dec 27). U.S. doctor who moved to Ont. shares observations on Canadian health care. Dieleman JL, Squires E, Bui AL et al. (2017 Nov 7). Factors Associated With Increases in US Health Care Spending, 1996-2013. JAMA; 318(17): 1668-1678. Dobkin C, Finkelstein A, Kluender R, Notowidigdo MJ (2018). Economic Consequences of Hospital Admissions. American Economic Review; 108(2): 308-352. Edsall TB (2016 Sep 29). What Does Immigration Actually Cost Us? The New York Times. Eisenberg (2005 Jul 11). Outcomes and Cost of Coronary Artery Bypass Graft Surgery in the United States and Canada. Archives of Internal Medicine; 165: 1506-1513. Families USA (2007 Jan). No Bargain: Medicare Drug Plans Deliver High Prices. Federal Reserve Bank of Dallas (2003 Nov). U.S. Immigration and Economic Growth: Putting Policy on Hold. Issue 6. Flavin L, Zallman L, McCormick D, Boyd JW (2018 Aug). Medical Expenditures on and by Immigrant Populations in the United States: A Systematic Review. International Journal of Health Services. Frakt A (2018 Jul 16). Hidden From View: The Astonishingly High Administrative Costs of U.S. Health Care: The complexity of the system comes with costs that aren’t obvious but that we all pay. The New York Times. Freeman TR, Petterson S, Finnegan S, Bazemore A (2016). Shifting tides in the emigration patterns of Canadian physicians to the United States: a cross-sectional secondary data analysis. BMC Health Services Research; 16: 678. 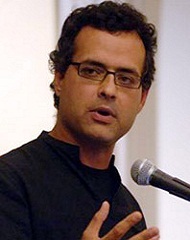 Friedman G (2013 Jul 31). Funding HR 676: The Expanded and Improved Medicare for All Act. How we can afford a national single-payer health plan. Physicians For A National Health Program. Friedman G (2017 Sep 14). Funding Medicare for All. Dollars and Sense. Friedman G (2017 Sep 28). ‘Medicare for all’ could be cheaper than you think. UMassAmherst. GAO (1991 Jun). Canadian Health Insurance: Lessons for the United States. GAO (2008 Jul). Prescription Drugs: FDA’s Oversight of the Promotion of Drugs for Off-Label Uses. Gaffney A, Lexchin J (2018 May 17). Healing an ailing pharmaceutical system: prescription for reform for United States and Canada. British Medical Journal. Garrett L (2018 Apr 24). The Royal Baby Is Lucky He Wasn’t Born in America: Everyone in the West, royalty or not, gets better maternal health care than parents in the United States. Foreign Policy. Glauser W (2014 Aug 5). US doctors migrating north. Canadian Medical Association Journal; 186(11): E407-E408. Gerace A (2011 Aug 21). Home Health Care 75% Cheaper than Nursing Home Care. Senior Housing News. Girod C, Hart S, Weltz S (2018). 2018 Milliman Medical Index. Milliman Research Report. Harrison JA (2008). Paying More, Getting Less. How much is the sick U.S. health care system costing you? Dollars and Sense Magazine. Harrison JA (accessed 2018 May 20). International Resources. Physicians For A National Health Program. Health Council of Canada (2011 May). Progress Report 2011: Health Care Renewal in Canada. Health Markets (2018 Mar 28). What is the Medicare Donut Hole? Heathfield SM (2018 Apr 9). What’s in a Comprehensive Employee Benefits Package? The Balance Careers. Himmelstein DU, Warren E, Thorne D, Woolhandler (2005 Feb 2). Illness And Injury As Contributors to Bankruptcy. Health Affairs; Web Exclusives: W5-63-W5-73. Himmelstein DU, Thorne D, Warren E, Woolhandler S (2009 Aug). Medical Bankruptcy in the United States, 2007: Results of a National Study. American Journal of Medicine; 122(8): 741-6. Himmelstein DU, Jun M, Busse R er al. (2014). A Comparison of Hospital Administrative Costs in Eight Nations: US Costs Exceed All Others By Far. Health Affairs; 33(9): 1586-1594. Houssami N (2017). Overdiagnosis of breast cancer in population screening: does it make breast screening worthless? Cancer Biology & Medicine; 14(1): 1-8. Huffman M (2017 Apr 27). Report: consumers’ out-of-pocket medical expenses rising. ConsumerAffairs. Institute of Medicine (2002 May). Care Without Coverage: Too Little, Too Late (Report Brief). National Academies Press. Institute of Medicine (2003 Jun). Hidden Costs, Value Lost: Uninsurance in America (Report Brief). National Academies Press. Institute of Medicine (2009 Feb). America’s Uninsured Crisis: Consequences for Health and Health Care. National Academies Press. Institute of Medicine (2013 Jan). U.S. Health in International Prospective: Shorter Lives, Poorer Health. The National Academies Press. jpmassar (2017 Jun 7). A FAQ About California’s Single Payer Health Care Legislation, SB 562. Daily Kos. Johnson T (2012 Mar 26). Healthcare Costs and U.S. Competitiveness. Council on Foreign Relations. Jollis JG, Peterson ED, Nelson CL et al. (1997 Jun 3). Relationship Between Physician and Hospital Coronary Angioplasty Volume and Outcome in Elderly Patients. Circulation; 95(11): 2485-91. Katz SJ, Cardiff K, Pascali M et al. (2002 May). Phantoms In The Snow: Canadians’ Use Of Health CareServices In The United States. Health Affairs; 21(3): 19-31. Khazan O (2014 Oct 1). What If America Had Canada’s Healthcare System? It would not be a socialist paradise. At least, not entirely. The Atlantic. Kliff (2018 Jan 29). An ER visit, a $12,000 bill — and a health insurer that wouldn’t pay. Lee MYH (2016 Oct 11). Fact Checker: Trump’s claim about Canadians traveling to the United States for medical care. The Washington Post. Leenson E, Geiger D (2017 Oct 17). Why business should demand single-payer health care. San Diego Union-Tribune. Light DW, Lexchin J (2005 Oct 22). Foreign free riders and the high cost of medicines. BMJ; 331: 958-960. Light DW, Warburton R (2011 Mar). Demythologizing the high costs of pharmaceutical research. BioSocieties; 6(1): 34-50. Light DW, Lexchin JR (2012 Aug 11). PHARMACEUTICAL R&D: What do we get for all that money? BMJ; 345 (7869): 22-25. Light DW, Kantarjian H (2013 Nov 15). Market Spiral Pricing of Cancer Drugs. Cancer; 119(22): 3900-2. Longhurst A, Cohen M, McGregor M (2016 Apr). Reducing Surgical Wait Times: The Case for Public Innovation and Provincial Leadership. Canadian Centre for Policy Alternatives. Ludwig M (2015 Sep 30). How Much of Big Pharma’s Massive Profits Are Used to Influence Politicians? Truthout. Luft HS, Garnick Dw, Mark DH, McPhee SJ (1990). Hospital Volume, Physician Volume, and Patient Outcomes: Assessing the Evidence. Health Administration Press. Luthra S (2017 Dec 14). Heading North: American Doctors Report Back From Canada. NPR. Mainous AG, Diaz VA, Saxena S et al. (2006 Sep). Diabetes management in the USA and England: comparative analysis of national surveys. Journal of the Royal Society of Medicine; 99: 463-469. Mangan D (2016 Aug 25). EpiPens cost just several dollars to make. Customers pay more than $600 for them. CNBC. Martin D (2017 Sep 18). Canadian doctor to U.S.: Try single-payer health care instead of trashing it. USA Today. McCann D (2014 Mar 17). “42,000 Canadians come to the United States for care” – Really? Physicians for a National Health Program. Medecins Sans Frontieres (2014 Nov 18). R&D Cost Estimates: MSF Response to Tufts CSDD Study on Cost to Develop a New Drug. Mehrota A (2017 Sep 14). I’m the perfect person to price shop for an operation. But the process went terribly. STAT. Morone JA (2017 Dec 7). How to Think about “Medicare for All”. New England Journal of Medicine; 377: 2209-2211. National Breast Cancer Coalition (2013). Overdiagnosis and Overtreatment. New Mexico State Personnel Office (2014). Total Compensation. NPR (2018). Home or Nursing Home; Special Series. Nutting R (2016 Sep 2). Opinion: What’s wrong with price gouging for EpiPens? Nothing, and everything. MarketWatch. OECD (The Organisation for Economic Co-operation and Development) (2017). Health at a Glance 2017: OECD Indicators. Orac (2012 Dec 6). Big pharma wins a battle on off-label prescribing. Respectful Insolence. Ornstein C, Thomas K (2017 Dec 9). Prescription Drugs May Cost More With Insurance Than Without It. The New York Times. Palmer K, Petch J, Bournes D (2017 Oct 19). What it’s really like to practice medicine in the U.S. Healthy Debate. Pear R (2018 Feb 25). Pharmacists upset they can’t talk drug prices with patrons. The New York Times. Physicians For A National Health Program. Homepage. Physicians For A National Health Program. International Health Systems. Pollin R (2017 May). Economic Analysis of the Healthy California Single-Payer Health Care Proposal (SB-562). Political Economy Research Institute. Prasad V, Mailankody S (2017 Nov 1). Research and Development Spending to Bring a Single Cancer Drug to Market and Revenues After Approval. JAMA Internal Medicine; 177(11): 1569-1575. ABSTRACT. Public Citizen (2001 Jul). Rx R&D Myths: The Case Against The Drug Industry’s R&D “Scare Card”. Public Citizen (2017). Would Lower Prescription Drug Prices Curb Drug Company Research & Development? Rachlis M (2005). Prescription for Excellence: How Innovation Is Saving Canada’s Health Care System. Harper Perennial Canada. Rampell C (2013 Dec 17). How Medicare Subsidizes Doctor Training. The New York Times. Ramsey L (2016 Aug 27). The strange history of the EpiPen, the device developed by the military that turned into a billion-dollar business. Business Insider. Ramsey SD, Shankaran (2016 Nov 20). Financial toxicity: a potentially devastating side effect of treating cancer. STAT. Rasmussen Report (2009 Jun 12). Americans Support Universal Health Coverage, But Not If It Covers Illegal Immigrants. Relman AS, Angell M (2002 Dec 6). America’s Other Drug Problem: How the drug industry distorts medicine and politics. The New Republic; 227(25): 27-41. Reinhardt UE (1989 Winter). Health Care and American Competitiveness. Health Affairs; 8(4): 5-21. Reuss A (2012 Nov). The Big Lie About the “Entitlement State”. Dollars and Sense Magazine. Rice T (2016). The Economics of Health Reconsidered. Fourth Edition. Health Administration Press. Rice T, Quentin W, Anell A et al. (2018). Revisiting out-of-pocket requirement: trends in spending, financial access barriers, and policy in ten high-income countries. BMC Health Services Research; 18: 371. Robinson S (2008 Feb 5). 10 Myths About Canadian Health Care, Busted. Physicians for a National Health Program. Rosenthal E (2014 Sep 20). After Surgery, Surprise $117,000 Medical Bill From Doctor He Didn’t Know. New York Times. Ross C (2018 Jan 8). In states that didn’t expand Medicaid, hospital closures have spiked. STAT. Sanders B (accessed 2018 May 18). 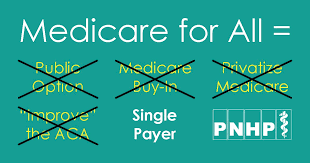 Medicare for All: Leaving No One Behind. Sanger-Katz (2018 Mar 21). Getting Sick Can Be Really Expensive, Even for the Insured. The New York Times. Sawyer B, Gonazles S (2017 May 22). How does the quality of the U.S. healthcare system compare to other countries? Peterson-Kaiser Health System Tracker. Schneider EC, Sarnak DO, Squires D et al. (2017 Jul). Mirror, Mirror 2017: International Comparison Reflects Flaws and Opportunities for Better U.S. Health Care. The Commonwealth Fund. Seipel T (2017 Mar 17). EpiPen outrage: Silicon Valley engineers figure real cost to make lifesaving auto-injector two-pack — about $8. Mercury News. Sisson P (2016 Sep 16). Dealing with difficult Medicare bill. San Diego Union-Tribune. Stephenson A, Sykes J, Stanojevic S et al. (2017 Apr 18). Survival Comparison of Patients With Cystic Fibrosis in Canada and the United States: A Population-Based Cohort Study. Annals of Internal Medicine; 166 (8): 537-546. Terhune C, Gorman A (2017 Nov 5). Medi-Cal insurers reap big profits, even when patient care is subpar. Kaiser Health News. Tikkanen R (2017). Multinational Comparisons of Health Systems Data, 2017. The Commonwealth Fund. Ubel P (2016 Aug). Your Physician Can’t See You Yet — She’s Busy Filling Out Paperwork. Forbes. United States Census Bureau (2017 Aug 10). Table F-8. Size of Family, All Races by Median and Mean Income – 1947 to 2016. Welch HG (2011). Overdiagnosed: Making People SIck In The Pursuit Of Health. Beacon. White MC (2016 Sep 7). It’s Jaw-Dropping How Little It Costs to Make an EpiPen. Money. Wikipedia (accessed 2018 May 21). Emergency Medical Treatment and Labor Act. Wikipedia (accessed 2018 May 23). Fraser Institute. Wikipedia (accessed 2018 Jun 13). Health effects arising from the September 11 attacks. Wikipedia (accessed 2018 May 23). Lead time bias. Wikipedia (accessed 2018 May 23). Length time bias. Wikipedia (accessed 2018 May 14). Medicare Prescription Drug, Improvement, and Modernization Act. Wikipedia (accessed 2018 Jun 13). Monopoly. Wikipedia (accessed 2018 May 22). Off-label use. Wikipedia (accessed 2018 Jun 13). Ponzi scheme. Wikipedia (accessed 2018 May 21). United States National Health Care Act. Zimmerman R (2011 Sep 16). Why Shared Hospital Rooms Are Becoming Obsolete. WBUR, Boston’s NPR News Station. Employer-based Health Care is Failing Workers.